Dr Mercola speaks up about the Dangers of Toxic Food Dyes. Remember Why Food Colorings are Added to Foods in the First Place … If you need further incentive to ditch artificially colored foods from your diet, remember the reason they're added to processed foods in the first place: to make a food that would otherwise be an off-colored mess look appealing. Take one carefully designed, randomized, double-blind, placebo-controlled study published in the journal The Lancet. It concluded that a variety of common food dyes, and the preservative sodium benzoate -- found in many soft drinks, fruit juices and salad dressings -- do in fact cause some children to become measurably more hyperactive and distractible. Stick to Naturally Colored Foods for Your Health Let me make it clear that your diet should include a range of vibrantly colored foods … but these foods should be the ones that are naturally rich in color. Red bell peppers, purple eggplant, green spinach, blueberries and rainbow chard are all examples of healthy foods whose bright colors are signs of the important nutrients they contain. These are the food colors you need in your diet … not the man-made varieties found in most processed foods. The good news is avoiding artificial food dyes is incredibly easy -- just stick to whole fresh foods and avoid the processed ones. Thirty years on and the powers that be are still asking the same question? When will profit not take precedence to health? Food coloring is the reason glace cherries are red rather than beige and that children's tongues sometimes appear freakishly blue. But man-made dyes may do more than make processed food look vibrant and whimsical. Some blame the additives for triggering behavioral problems in youngsters. Acting on research published in the Lancet, the European Parliament last year began requiring products containing synthetic food colors to carry warning labels saying that "consumption may have an adverse effect on activity and attention in children." Now, the U.S. Food and Drug Administration has scheduled a March hearing on whether food dyes adversely impact children's health. The Center for Science in the Public Interest, or CSPI, is asking the agency for a synthetic food-dye ban and to place warnings on products until the colors are removed. The dyes are often used to enhance the appearance of sugary cereals, candies, sodas, fruit-flavored snacks, fast food and other products that are aimed at children and have little nutritional value, the CSPI said in a citizen's petition signed by 18 physicians and researchers. Since naturally derived alternatives exist, the continued use is hardly worth any potential risk, it said. "What's the benefit? To make junk food even more appealing to children than it already is?" asked CSPI Executive Director Michael Jacobson. Other experts say food dyes, which require pre-market approval, are among the most tightly regulated additives on the market and there's little evidence for the long-suspected link between food colors and hyperactivity. "The (synthetic food dyes) used in the U.S. are absolutely safe," said Joseph Borzelleca, a professor emeritus of pharmacology and toxicology at Virginia Commonwealth University School of Medicine. "Food colors are among the most thoroughly studied of the food ingredients." That hasn't always been the case. Originally, naturally derived ingredients were used to make food look more appealing — saffron, for example, gave rice a yellow tint. In the 1850s, manufacturers began using long-lasting coal-tar dyes to brighten both fabric and food, a practice that sickened countless unsuspecting consumers. Today, the nine synthetic hues approved for use in food — meaning they've been certified by the FDA — are used primarily to help restore the color washed away by industrial processing, even out natural variations and make foods look more appealing or "fun." "The content of a natural color like grape skin varies, depending on where they're grown, the season, the kind of chemicals used and harvesting," said Borzelleca. "But with approved colors you're getting the same thing every time." Synthetic food colors have been suspected of triggering behavioral problems in children since the 1970s, when pediatric allergist Ben Feingold began treating allergies by putting children on elimination diets, free of both synthetic food dyes and preservatives. But Feingold's ideas, now touted as a way to treat children with attention-deficit disorder, were never convincingly substantiated. Unlike previous studies, the Southampton research found the effect in children from the general population, not just those whose parents suspected they were sensitive to food dyes. And the study didn't just rely on parental ratings of their children's behavior, which can be subject to bias; it also used ratings generated by teachers, researchers and computers. The British Food Standards Agency, which commissioned the trial, subsequently advised concerned parents to reduce or eliminate six colorings from their children's diets. A committee of the European Parliament then voted to ban all synthetic dyes from foods consumed by babies and small children. 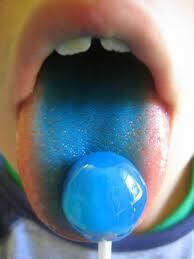 The FDA still maintains there's "no evidence" of a link between dyes and hyperactivity. When it reviewed the Southampton study, the agency "found no information to suggest that the behavioral changes noted were adverse, detrimental or maladaptive." One of the study's shortcomings, the FDA said, was that it used a mixture of color additives and the preservative sodium benzoate, making it impossible to know which individual additive was responsible for the effect. The researchers, who have been invited to the March FDA panel, acknowledged that more studies are needed but disagree with the FDA's view that the effects were insufficient to warrant action. While many factors can influence hyperactivity in children, including genes and environment, "there is good evidence that artificial food colors can also increase levels of hyperactivity," said Jim Stevenson, the study's lead author and professor emeritus in the school of psychology at the University of Southampton. Certain food dyes, including FD&C Yellow No. 5, also can trigger allergic-type reactions in some people, but allergists note that many natural foods also can cause such symptoms. "Some chemicals naturally present in strawberries, pineapples or some insecticides used on fruit also bother some people," said Michael B. Foggs, chief of allergy, asthma and immunology for Advocate Medical Group of Advocate Health Care. "Should children be forced to eat foods devoid of artificial coloring agents because a small percentage of children are bothered by recognizable side effects?" The uncertainty over the evidence leaves parents with many questions and pediatricians with few answers. Aaron Donnell, an allergist and pediatrician at Children's Memorial Hospital and Illinois Masonic Hospital, said that if parents have questions about attention-deficit disorder, he tells them that skin- or blood-testing won't help, but they can try removing gluten, sugar, dyes or preservatives from the child's diet. "At least half get some improvement by adjusting their diet," he said. Soledad Erickson, a Chicago teacher, went to Donnell after she suspected food dyes were affecting two of her children. Daughter Marcella, 8, had severe mood swings, and Sydnie, 5, broke out in severe rashes. Both girls improved after she removed the chemicals from their diet, she said. "Marcella became more focused and pays attention," said Erickson, adding that signs of the old problems re-emerge when food dyes sneak back into the girls' diets. "She's so much happier and friendlier since I've taken out the dyes. If you met her last year, you'd never think this was the same child." In Ari Goldstein's clinic, meanwhile, parents are often counseled on the potential benefits of dietary changes after children are diagnosed with learning difficulties or behavioral problems. Goldstein, director of Cognitive Solutions Learning Center in Chicago and Highland Park, said he knows more research is needed. Still, he urges parents to "clean up" their children's diets, which included removing as many refined and processed foods as possible and incorporating whole foods. "I've seen some cases where removal of synthetic dyes has improved behavior patterns tremendously; however, other dietary interventions were also in play," Goldstein said. Some manufacturers and retailers already are moving to replace synthetic colorings with natural alternatives in their products. Both Whole Foods and Trader Joe's have pledged not to sell products with synthetic food colors. Starbucks doesn't permit dyes in its beverages or pastries, Necco has switched to safer natural colorings for its wafers and Frito-Lay is testing dye-free snack foods, according to CSPI. Many companies have also reformulated products to adjust to the regulations in Europe. For example, Kellogg's strawberry Nutri-Grain Cereal Bars sold in the U.S. contain Red No. 40, Yellow No. 6 and Blue No. 1. But in the U.K., the cereal bars contain natural alternatives: beet root red, annatto and paprika extra. "I don't think the dyes are good for anything," said Dr. Alan Greene, a clinical professor of pediatrics at Stanford University School of Medicine who signed the CSPI petition. "The only benefit is to trick you into eating the food or to make it look healthier than it is."